Completely Remodeled one bedroom condo in Harbor Village. 600 square feet on one level. 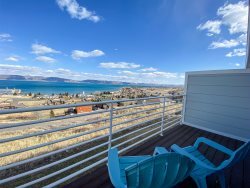 Second Level Unit with amazing views of BearLake!